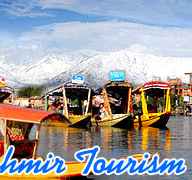 Explore all important tourist places to see in jammu and Kashmir. Set in a picturesque setting of Himalayas, Amar Mahal Museum and Library, is an epitome of royal grandeur and magnificence.It is a repository of books and paintings and attracts art lovers and historians from all over the world. The museum building forms the major part of the majestic Amar Palace, which has a French touch in its architectural style. 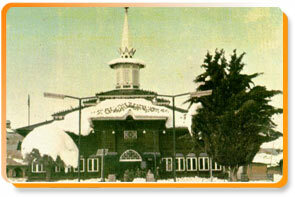 Chrar-e-Sharief is a shrine revered by both Muslims and Hindus dedicated to Sheikh Nooruddin, who was arguably the greatest mystic-saint of Kashmir. 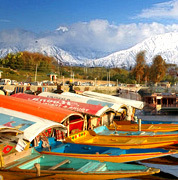 The Islamic militants burned it down in 1995 at the behest of Pakistan. 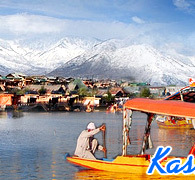 An example of the composite culture of Kashmir, the Sheikh was born as Nund Reshi or Sahazanand in 1377. 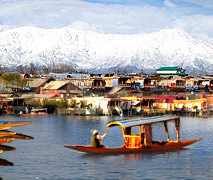 The Mughal fort situated on the banks of the Dal Lake of Srinagar, it is positioned on top of the Sharika Hill. Originally, it was built during the reign of Akbar but its present structure owes itself to the Afghan governor of Kashmir in the 18th century.It has a Parvati temple on the western slope and the Muslim shrines of Khwaja Makhdoom Sahib and Akhund Mullah Shah on the southern one. The most memorable and beautiful work of King Lalitaditya is the construction of spacious Martand temple, which the emperor got built in honor of the Sun God or Bhaskar. Lalitaditya was a Kshatriya of Surya (Solar) dynasty. The style of the construction of the temple and the skill exhibited in its construction is rare in the history of the world. Situated in the town of Chanhani in the western part of the Jammu, the Sacred Temple of Sudhmahadev was constructed by Chaudhari Ramdas of Chanhani and his son Chaudhari Parag Mahajan about 80 years ago. Shri Masu Shahane of Sudhmahadev is said to have constructed the entrance door of the temple of Sudhmahadev. Situated at an altitude of 3600 m above sea level, the monastery of Tiksey is situated about 20 km far from the town of Leh and ranks among the most important monasteries in Ladakh. It is the seat of Tiksey Rinpoche, the main leader of the Gelug School in Ladakh and is the main and leading monastery for more than ten other famous Ladakhi monasteries such as Diskit, Spituk, Likir, and Stok.